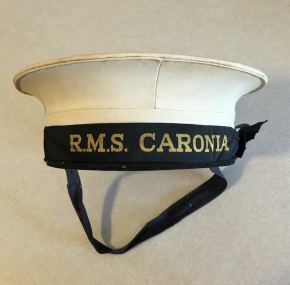 Rarely seen crew hat as worn on RMS Caronia, the famous Green Goddess. This comes to us direct from the collection of Cunard’s New York manager Ron T, Johnson. He almost undoubtedly got it off this most lovely of liners himself. 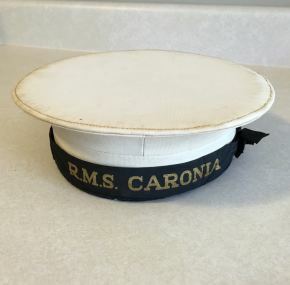 In very good condition and measures about 10″ front to back.